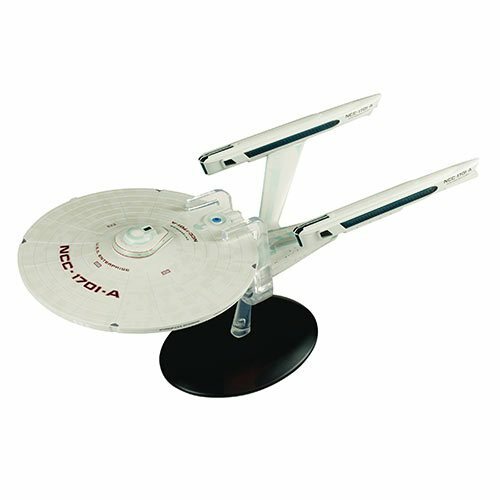 The Star Trek Starships Large Enterprise NCC-1701-A Die-Cast Metal Vehicle Special #21 is based off the designs of Andrew Probert and Richard Taylor. The ship was placed under the command of Captain Kirk in Star Trek IV: The Voyage Home after he saved Earth from being destroyed by a space probe, and subsequently appeared in Star Trek V and Star Trek VI. It has been carefully recreated in die-cast, high-quality ABS materials, and is approximately 10 1/2-inches long.